Aspen Comics is looking forward to attending their first convention of the new year, the upcoming Amazing Arizona Con 2013 on January 25th-27th, and the publisher is launching their all new “10 for 10” initiative over a week early at the show with the release of Legend of the Shadow Clan #1 and an appearance by series creator and writer David Wohl. Starting on February 6th, Aspen will be launching their “10 for 10” initiative featuring an all new series release for ten consecutive months, with each debut #1 issue offered for only $1. 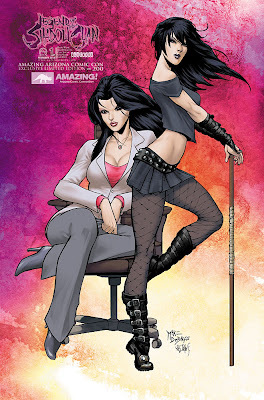 Legend of the Shadow Clan #1 will be the first offering for Aspen’s “10 for 10”, and is created by Wohl and Brad Foxhoven with art by Cory Smith and John Starr. Legend of the Shadow Clan #1 will be released nearly a week prior to its release date, featuring an exclusive cover by Soulfire artist Mike DeBalfo and colorist Peter Steigerwald, the Legend of the Shadow Clan #1 Amazing Arizona Con 2013 will be available at the Aspen Comics Booth all weekend long and is limited to 200 copies. 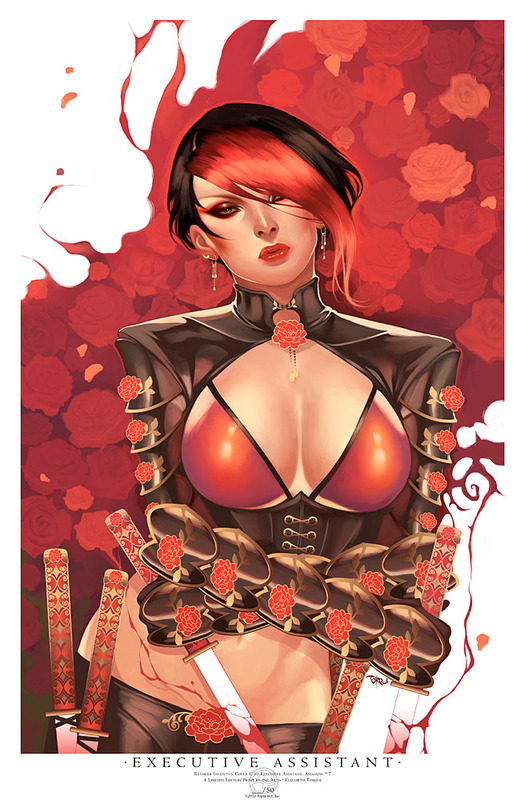 Aspen will also be featuring all new editions of their industry-leading art prints available at the Aspen Booth all weekend long, including the year’s first edition of their anniversary flashback Aspen Tour Print 2013, featuring Aspen Matthews by Michael Turner and Peter Steigerwald, limited to 100 editions. 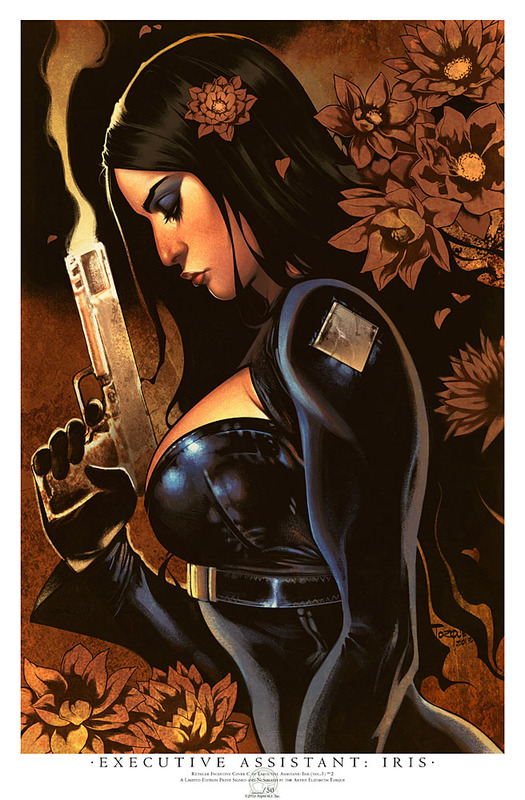 The publisher will also be offering a new Fathom print by Mike DeBalfo and Peter Steigerwald (Limited to 75), and two new Executive Assistant: Iris prints by Elizabeth Torque (Limited to 50). Aspen encourages fans to check out the release of Legend of the Shadow Clan #1 for only $1 on February 6th.